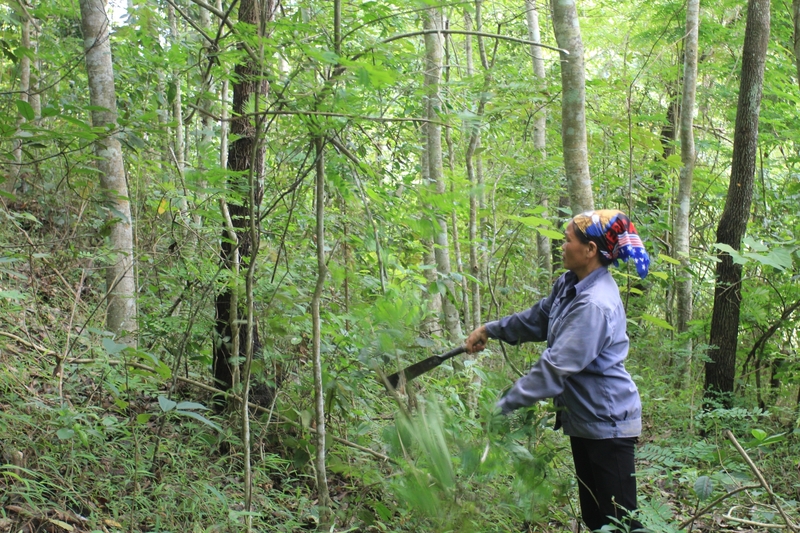 (VBSP News) Access to micro finance programmes has helped thousands of women in Vietnam escape poverty and furthered the gender equality agenda. 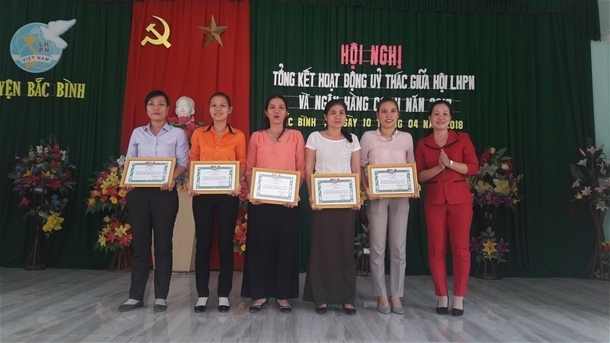 A 2016 report by the General Statistics Office of Vietnam showed that 44 per cent out of the 26.2 million female workers in Vietnam are employed in the agricultural sector. This means agriculture depends on women to grow. However, 62.4 per cent of these women work without pay in their households and 41.1 per cent are only employed for menial work. Upon seeing this, Vietnam Bank for Social Policies (VBSP) decided to help poor Vietnamese women gain access to credit so that they can set up their own business and escape poverty for good. When women can fend for themselves, social welfare will improve and the agricultural sector will benefit greatly, said VBSP. The bank then collaborated closely with the Vietnam Women Union (VWU), which is now the biggest benefactor of VBSP’s capital, out of all organisations and associations. Until now, the VWU has been managing 68,991 financial unions with VND72 trillion ($3.13 billion) of outstanding loans for 2.6 million households. The programme is designed for poor households and students who need financial aid to complete their studies. Through 16 years of collaboration, the VWU and VBSP have been holding regular meetings at local financial unions. In these meetings, local women are taught practical lessons on how to take out loans, set up a business, and build strong families that support gender equality and innovation. The women also received updates of regulatory changes or other support programmes available in the area. Studies show that the majority of poor households have a lot of children and lack a sustainable business plan for their family, thus VBSP and VWU want to help local women escape this vicious circle of poverty. These meetings and financial unions also act as support groups for women, fostering camaraderie and companionship. According to VBSP representatives, 100 per cent of financial unions run by the VWU have completed their action plans. Credit quality and on-time repayment have been guaranteed, and financial unions run by the VWU are becoming more professional and efficient in their lending practices. Thanks to credit programmes by the VWU and VBSP, thousands of poor women have become financially stable, thus increasing their social standing and contributing to the gender equality agenda at rural areas. Their own families have also benefited from women’s stronger financial power, minimising money-related risks to their households. Stories of women who escaped poverty through VWU and VBSP have also inspired others. Many successful women have then created jobs or offered training for local female workers, thus creating a ripple effect in the community.